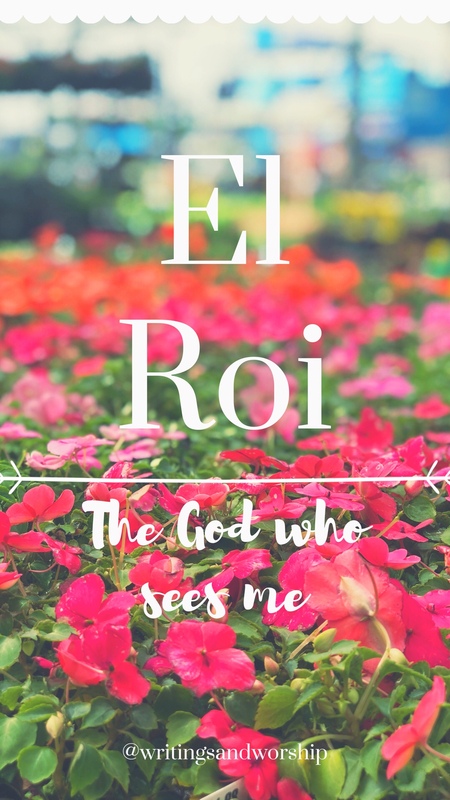 El Roi is one of my favorite names of God. 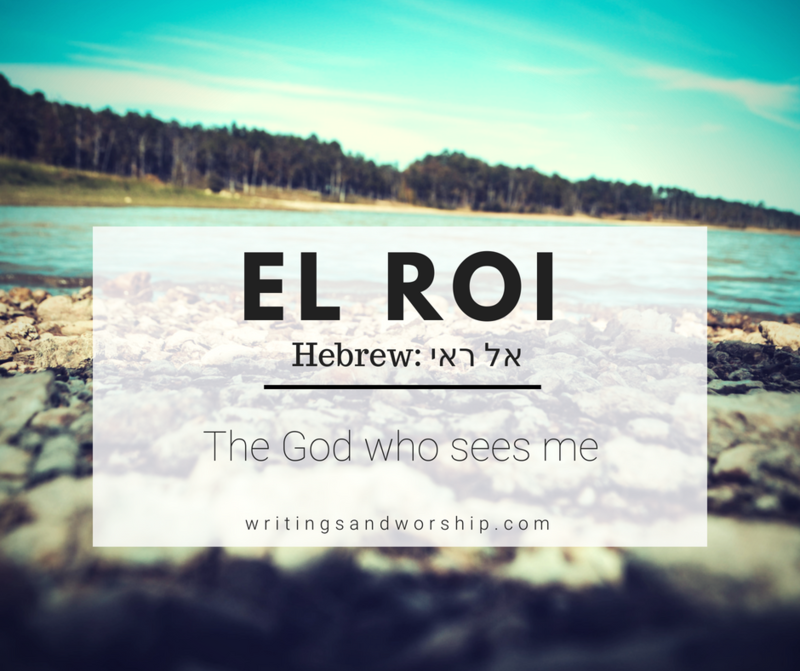 El Roi means “The God who sees me.” In this world, we can often feel like we are alone- nobody seeing us for who we. God however not only sees us but loves us unconditionally. 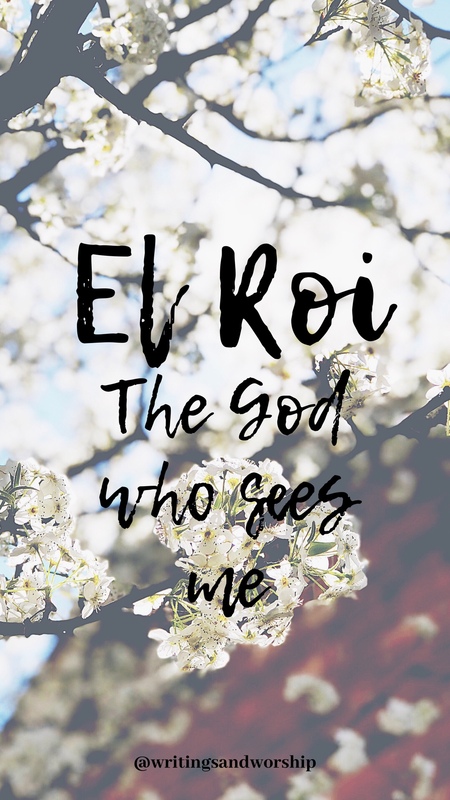 El Roi, the God who spoke the world into existence, sees you and me both. He sees us in our darkest moments and our happiest times. He loves us no differently when we are in the valley and hills. From what I can tell, the first time El Roi is mentioned in the Bible is in Genesis 16. Hagar, the mother of Abraham’s son Ishmael, after the angel spoke to her about bearing this son. 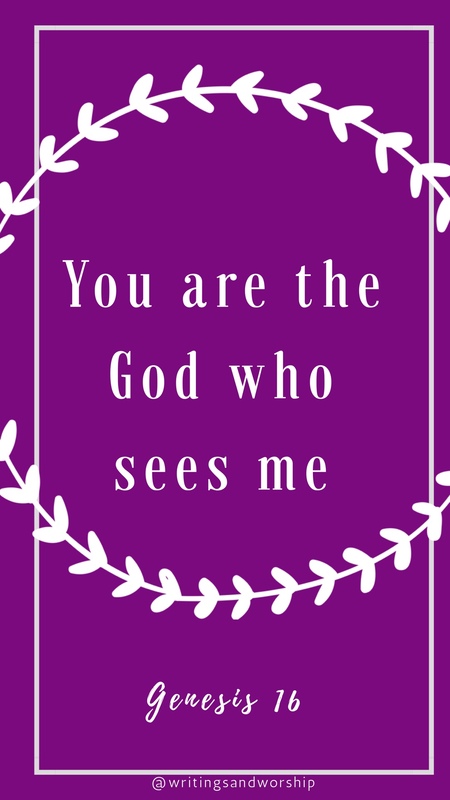 One reason I really love this name is that I think a big misconception about God is that He is an impersonal judge that sits on His throne and doesn’t care about us down here. That is far from the truth; El Roi sees us and is invested in our lives. I’m not sure about you but I find that so comforting. Even when friends might bail on your or your family moves away…no matter the case…God sees us and more than that- He loves us. El Roi knows the hairs on our head and even on our worst days- He is beside us. This name became even more special and real when my dad died. From what we understand, he probably died before the paramedics at work. I really struggled because I realized that he might have been alone when he died. But this name reminds me that we are never alone. El Roi was there. He saw my dad and held him as he called him home. Honestly that’s about the only way I can stay sane. I’m so thankful for a God that sees all and is there for each and everyone one of us. I wanted to share a few phone wallpapers during this series. Please feel free to save these and use them!